Spandau Castle was indirectly mentioned for the first time in 1197. The Margraves of Brandenburg had built it on the site of an old Slavic settlement at the place where the rivers Havel and Spree meet. 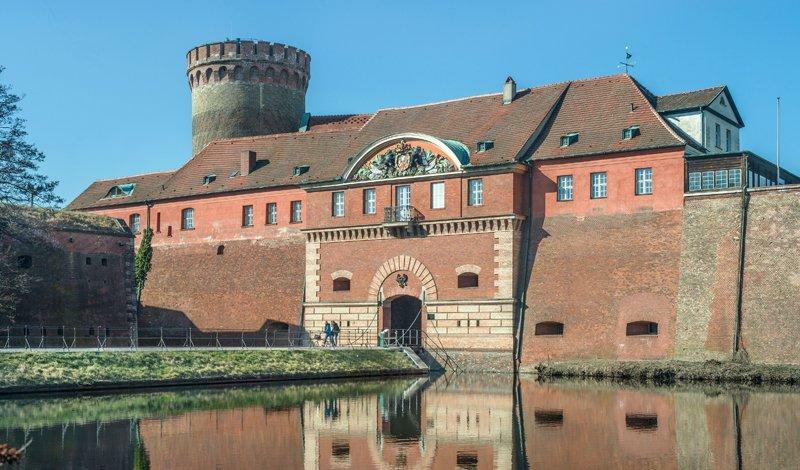 Between 1559 and 1594 the rulers, now titled Electors, built a fortress on the site to protect the nearby residential city of Berlin. In the spring of 1813 the fortress was severely damaged during the wars against Napoleon. From 1874 to 1919 the “Reichskriegsschatz” (Imperial War Treasure) was stored in the Julius Tower. The National Socialists housed laboratories for poisonous gas in the Citadel. Since 1945 the area has been used solely for non-military purposes. For more than three decades a college for trainee builders was housed in parts of the complex. When the college moved in 1986, the site became more and more important as a cultural centre. Today, the Citadel is the Island of History, offering lots to see and experience – one of Berlin’s foremost cultural and tourist “magnets”.